Excuse me. You are not a hummingbird. Some of you stick your tongues out at me?!?!? You beautiful, entertaining, shameless creatures! I conscientiously clean, sanitize and refill your fake flowers with deliciousness. You will be loved, forgiven and cared for in the usual manner. ❤️❤️❤️❤️❤️❤️❤️❤️❤️. These tiny winged creatures are so much fun to watch and quite difficult to photograph. Speed-lights work overtime to catch them frozen in flight. No masterpieces but still fun to try. 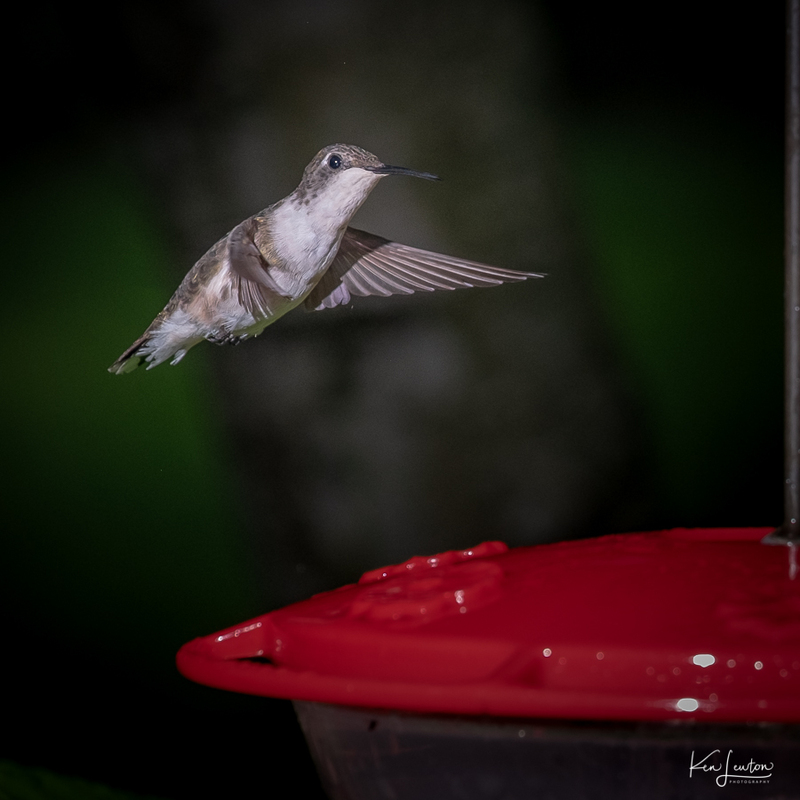 We've set up five hummingbird feeders in the Spring for several years. They seem to always find their way back to the red fake "flower" feeders. As most people know, they are fun to watch, mesmerizing. 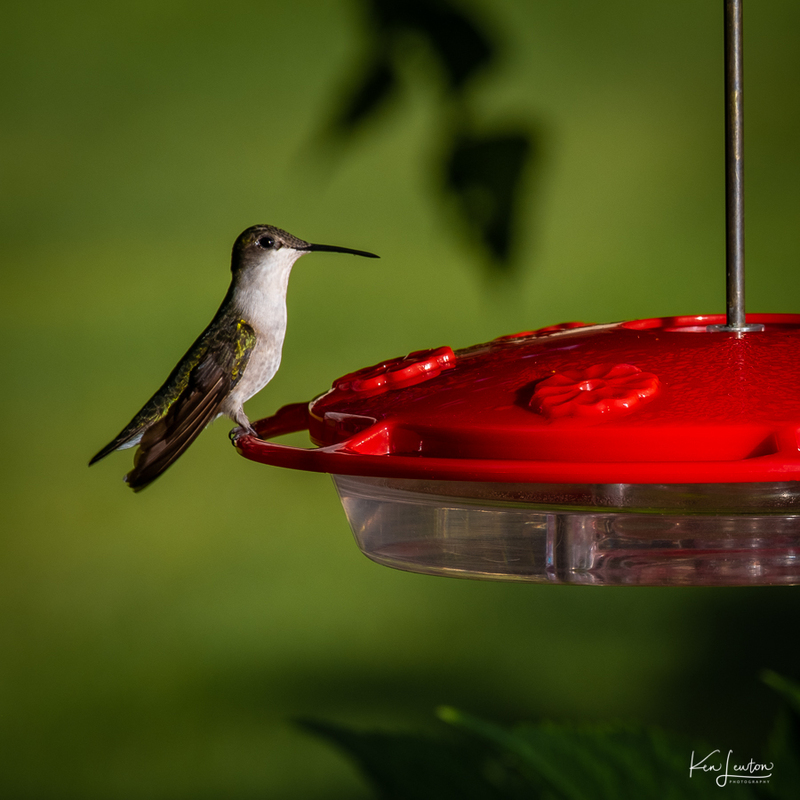 Although Indiana has a couple other species that pass through and hang out occasionally, our predominate hummingbird species is the ruby-throated hummingbird. Hummingbirds are very territorial. 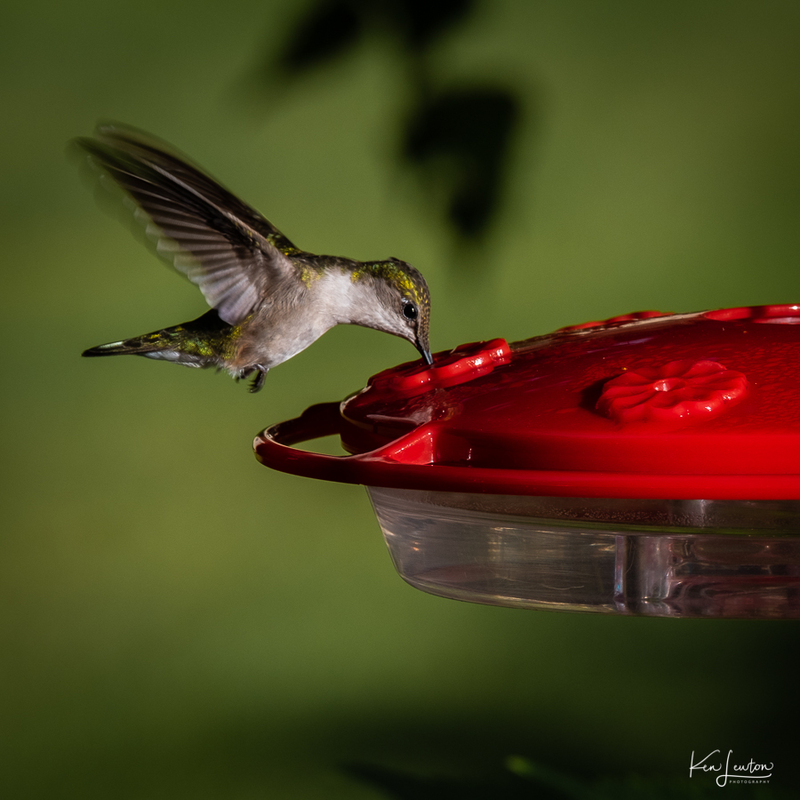 They will defend "their" feeder, dive bombing intruding hummingbirds and other birds as well. We set the feeders so each is out of view from the others. 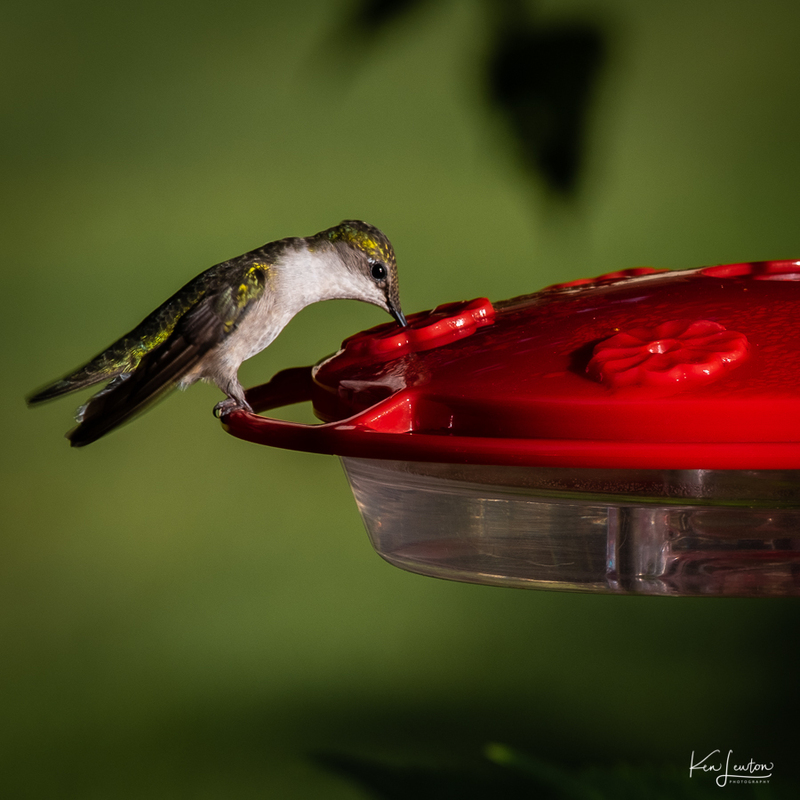 We clean and refill the feeders at least once a week. During that process I have noticed that they seem to prefer two locations of the five as there's always less nectar left in those two feeders. On several occasions while working in the gardens, I hear them nearby only to realize when I turn to find them that they are hovering right behind me, not happy that I am working between them and their precious fake flower food source. It's a bit unsettling at first but a slight wave of the arm and off they go. I have no idea if they'd actually be aggressive enough to dive bomb me but they do make quite a fuss. I'm not too excited about being impaled by that beak. I finish up whatever has me close to "THEIR" space and quickly move on to other parts of the garden. Today was the day that I finally decided to get out the long lens, set up a couple of remote flash units and give this a go. It was a painful wait but my Kindle provided the necessary patience. During the three hour time period two birds arrived. Round one was a male, beautiful colors and that gorgeous ruby throat. Results from round one were pretty awful! I made some adjustments and hoped and waited for round two. She finally arrived. There are no masterpieces here but, even if I do say so myself, not bad for a first try.